During the Advent Season, these people organize the names that go up on the Christmas tree in the Narthex. 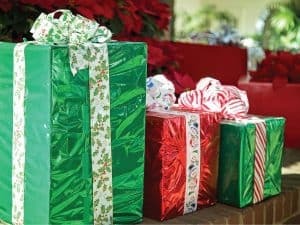 After the Angel Tree gifts have been purchased, wrapped and returned to the church, they distribute the packages to the needy children. Mt. Olive has participated in this noble ministry for several years. Each year during the Christmas season Mt. 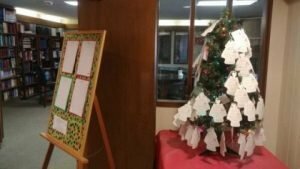 Olive Lutheran Church displays a tree in the Narthex decorated with paper forms shaped like Christmas trees that contain the information about a young child’s wishes for Christmas gifts, and a brief message from the parent who is in prison. 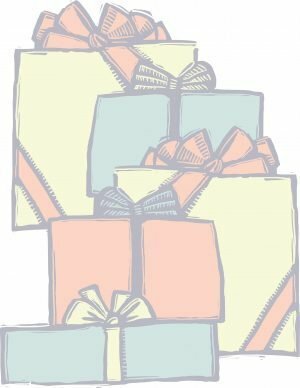 We take a paper tree with the information and then attach it to the outside of a wrapped gift that is delivered by volunteers before Christmas Day. For 2.7 million children in the U.S., that story may be filled with the abandonment, loneliness, and shame that come from having a mom or dad in prison. For many, it may also include following their parents down the same destructive road to incarceration. 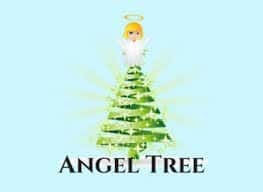 Angel Tree®, a program of Prison Fellowship, reaches out to the children of prisoners and their families with the love of Christ. This unique program gives you an opportunity to share God’s love by helping to meet the physical, emotional, and spiritual needs of the families of prisoners. It was during Shane’s second prison term that he enrolled in the Prison Fellowship Academy® and fully surrendered to Christ. After finding his redemption behind bars, Shane began to see his life restored by Christ as he took ownership of his choices. He was finally on the track to recovery. Still, he wondered if his family would be waiting to meet him at the finish line.